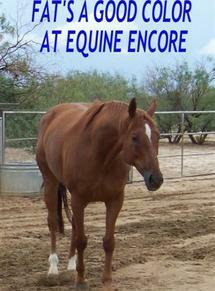 Equine Encore Foundation would like to say Thank You for your support. Your donation is tax deductable and your name will be added to to our Greatest Supporters List. But most of all your donation will help support us give our resident horses a life. Equine Encore Foundation wants to remember our Friends and Supporters who have passed on. Countyline Riders of Catalina, Inc.
Mr. & Mrs. James H. Click, Jr.
Mr. A. B. Thompson, Jr.